This sign is for Private Road Access. The sign’s colors are orange and black. 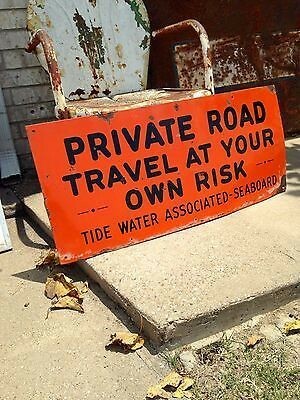 The text on the sign reads: Private road travel at your own risk Tide Water Associated Seaboard. The sign shows text.